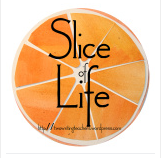 Two Reflective Teachers: 2016 Slice of Life Challenge: Day 1- I'm Doing It! 2016 Slice of Life Challenge: Day 1- I'm Doing It! I have met incredible people through this experience, and pleas note that met is not in quotation marks. I have met them at conventions, at coffee shops, at workshops, and for walks. They have been instant friends because of the connections we have made reading about each other's lives for a month. I believe in writing. I am a better person when I write because I notice, interact, process, and reflect more when I am in a writing state of mind. I am a better listener, observer, and even participant in life. I am a better writing teacher when I write. We ask our students to write every day. To think of new topics and develop them. To reveal and share their process and product to classmates and anyone else who is in the classroom that day. When I am engaging in a similar process, I have better insight, empathy, and advice for when students are stuck. I know that I can forgive myself if I don't write every single day or if I don't comment on as many blogs as I mean to. The prizes are awesome, but the reasons to do the Challenge are so much greater than the prizes. At the end of the month, I know that I will have new stories I have not thought of yet, new friends to look for at shared learning opportunities, and new insights about writing and its importance in my life. My word that has been guiding me through 2016 is wonder, and right now I'm wondering about my sanity as I embark on this challenge. I think I'm pretty sane though. And I'm looking forward to it. If my words have convinced anyone who is reading this post, you have a couple of days to get brave and jump in. You'll be glad you did! I'm so glad you're here. I agree with all of those reasons to join in on the challenge! Happy slicing! Such eloquent reasons for writing every day. It's such a pleasure to treasure all the Slicer meetings in real life! I, too, struggled a bit before joining in again this year because of all that's going on in my life, but all your reasons are spot on! Sane or not, we're all in this together! So glad, that sane or not, we are all in this! I appreciate all of your reflection in this piece. I'm glad you are joining in again because I always learn so much from you. Will Larkin be writing this year? It's always worth the trouble isn't it? I guess that it's the call of our writing community. I believe I'm a better person when I write as well. Thanks for this piece, Melanie. It captures so many of my own beliefs about the value of this practice. I have been waiting with growing excitement to write this month! There are so many wonderful benefits to sharing our thoughts with others! As an instructional coach for reading and writing, I can't think of a better way to grow!